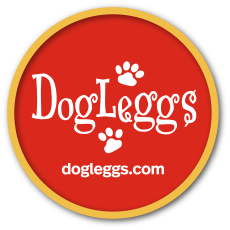 DogLeggs, LLC will accept a return of a standard product within forty-five (45) days from date of purchase. DogLeggs will only accept returns for items purchased directly from DogLeggs; if an item is purchased from an intermediary/distributor, please contact the seller for return instructions. All returns must be assigned a RA# before the product is shipped back to DogLeggs. Please call us at 800-313-1218 to report the problem and receive a RA#. Returned merchandise should include all original packaging, be clean and in new condition. A cleaning fee or possible denial of a refund/credit may be applied to products returned in less than new condition. If a refund/credit is refused the product will be shipped back to the customer. In the event that you have received a damaged or defective product, please call us at 800-313-1218 to report the problem within ten (10) days of receipt and DogLeggs will ship a replacement product immediately upon receipt of the damaged or defective product at no additional charge. Custom Products such as Carpal Supports, Front Leg Wraps, Hock Socks, Tarsal Supports, DogLeggs for Amputee, Full Length Adjustable DogLeggs and Shoulder Stabilization Vests are made specifically for one animal from the measurements provided by the customer and may not be returned. Any product that is altered or modified from our standard product may not be returned. If there is an issue with a custom product please contact DogLeggs immediately upon receipt at 800-313-1218 or info@dogleggs.com. We will work with you to make it right!